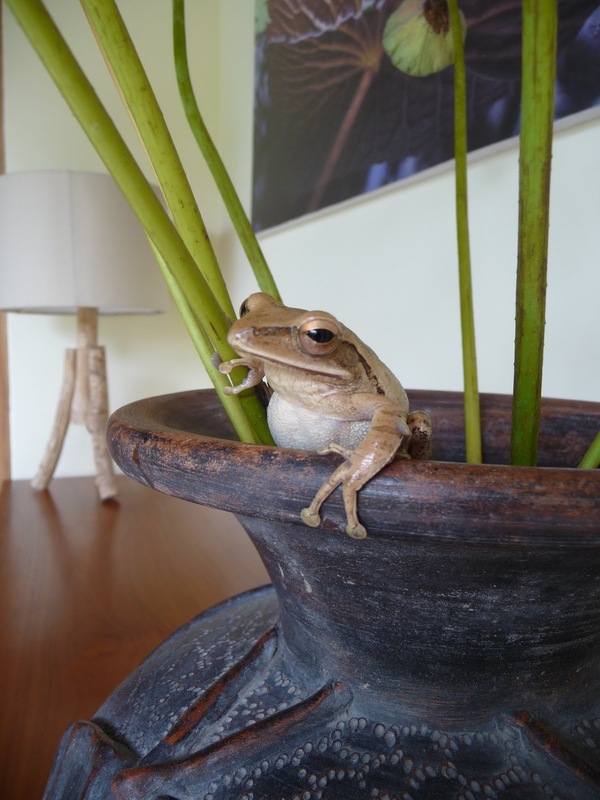 Balinese tree frogs (Polypedates leucomystax) can be seen throughout the rooms of Umajati. The Balinese call them Emplegan. He has a loud call "ka ka ka ka" - almost as loud as the sound of the gecko. Look up in high places! In the evening they jump down to hunt for mosquitos and bugs - a natural means of pest control! 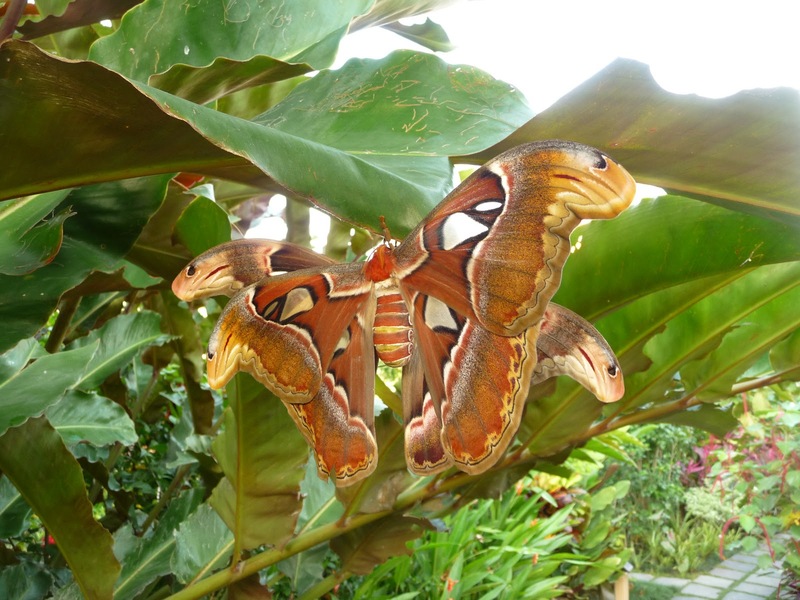 Two months ago we found a large caterpillar eating the leaves of a ginger plant in the Umajati garden. It was an Attacus atlas caterpillar and over the weeks of devouring leaf after leaf it was about 15 centimeters in size. 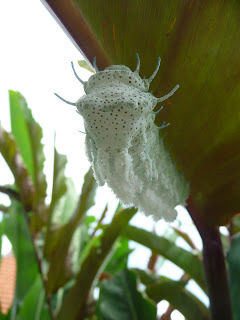 In Bali they are known as Kupu Kupu Barong or the Barong moth. We called her/him Charlie or Charlene. 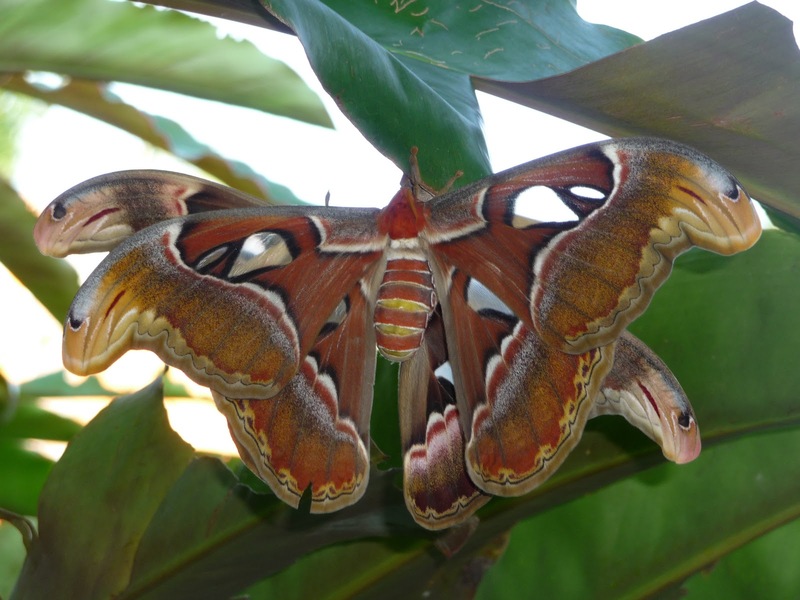 This moth is one of the largest Lepidoptera in the world. After about 3 - 4 weeks of eating she spun a lovely brown cocoon. At Threads of Life (www.threadsoflife.com) we work with people in Java who harvest these cocoons and have them spun into thread and woven as cloth which we then use for backing pillows. This morning after several weeks of wondering if the cocoon was full or empty we awoke to find our beautiful moth had not only hatched but was already mating! The moths are have about a 20 cm wing span. The female is bigger than the male it appears. We have read that after they mate and the female lays her eggs that they will die within a few days. 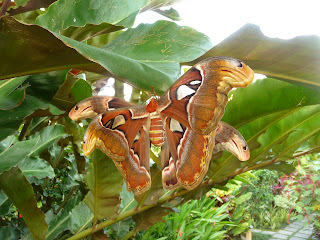 Nyoman, one of Umajati staff, says that when he was young he remembers seeing one of these but they have become rare. If you look at the wing tips they appear to be snake heads! A wonderful protection against predators. 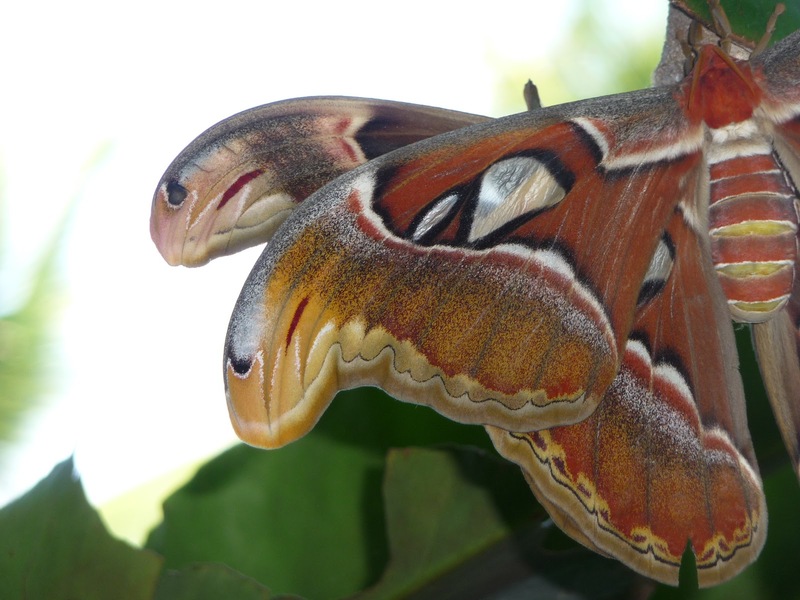 We are all so excited at Umajati and hope that there will be more of these gorgeous moths in the months to come and one of you will be with us as a guest and can see this amazing sight. 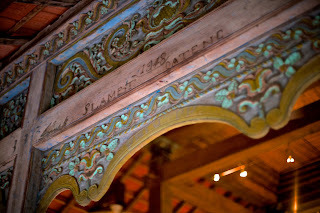 Written on the front wall of the Bugoharjo house is "Selamat Datang" which means Welcome! The date 1948 is when the house was rebuilt from an older house. The original building is at least 75 years old. Our Javanese friend enlightened us as to why the back of the house was built wider than the front of the house. "It is like a pocket that holds your fortune," explained Ronny. "Remember that the house was used to store the family's harvest.